Warm up from the inside-out. 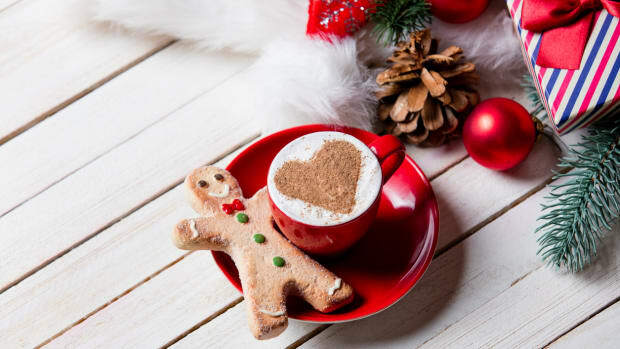 Step away from the package of artificially flavored and sweetened hot cocoa. 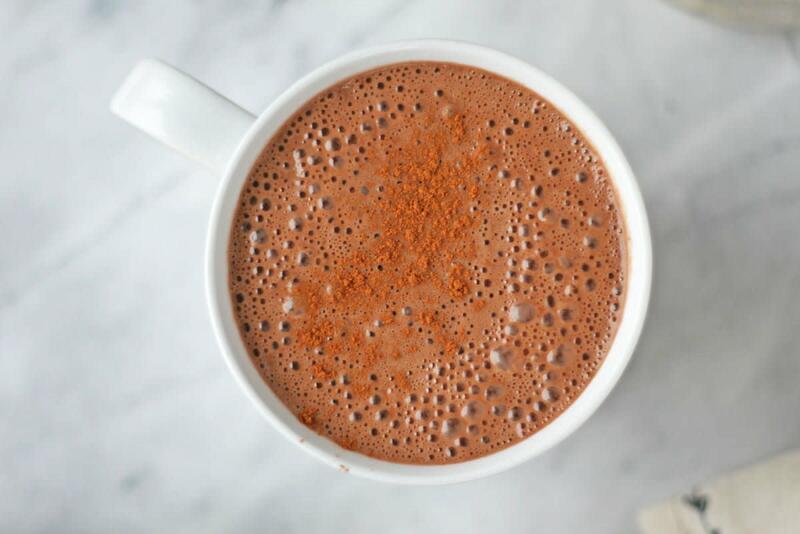 Instead, make this healthy hot chocolate loaded with superfoods like cacao, maca, reishi, and warming spices. Bring it on, winter. Hot chocolate is a seasonal treat best served fireside with friends and family. It’s the perfect way to warm up cold hands and makes a great accompaniment to Christmas movie marathons. The problem with this seasonal beverage is when it’s loaded with sugar and other mystery ingredients. Swiss Miss milk chocolate cocoa mix ingredients read: sugar, corn syrup, modified whey, cocoa (processed with alkali), hydrogenated coconut oil, nonfat milk, calcium carbonate, less than 2% of: salt, dipotassium phosphate, mono- and diglycerides, carrageenan, acesulfame potassium, sucralose, artificial flavor. Let’s translate those ingredients. The first two are sugar, which makes each packet clock in at eight grams of sugar, or about two teaspoons worth. The second to last ingredient, sucralose, is also sugar, while acesulfame potassium is an artificial sweetener. Hydrogenated coconut oil, unlike unrefined coconut oil, changes the heart-healthy saturated fats into trans fatty acids, or trans fats. 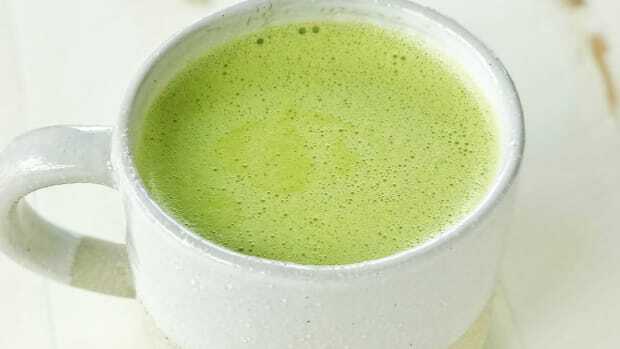 To hydrogenate a fat, the oil is bombarded with hydrogen atoms until it changes its molecular structure – not a healthy process. Trans fats are known to reduce your beneficial HDL cholesterol, raise your LDL cholesterol, increase the risk of type-2 diabetes, heart disease, lower sperm production, and stroke. 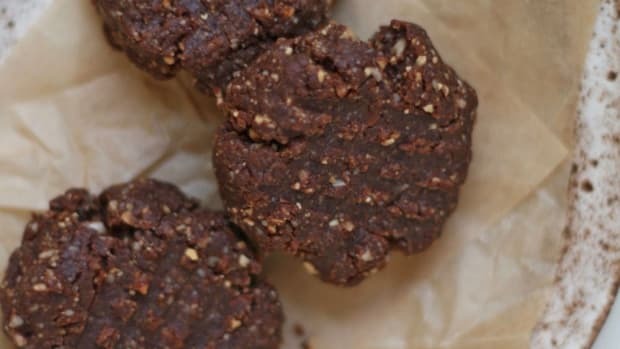 Other shady Swiss Miss ingredients include dipotassium phosphate, which is a “highly water-soluble salt often used as a fertilizer, food additive and buffering agent.” We repeat: fertilizer. Mono- and diglycerides are emulsifiers that help to hold the hydrogenated fat together, so the mixture does not separate. 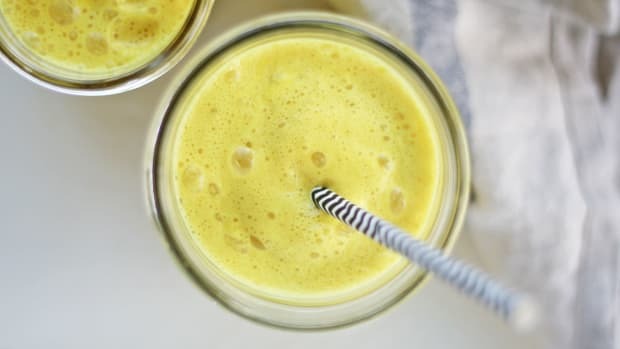 According to the Center for Science in the Public Interest (CSPI), acesulfame potassium should be avoided. In the U.S., acesulfame potassium was permitted only in foods like sugar-free baked goods, chewing gum, and gelatin desserts for several years. In 1998, however, the FDA allowed this chemical to be added into soft drinks, which greatly increased its consumer exposure and usage. Safety tests of Ace-K found that it causes cancer in rats and strongly affect the thyroid of rats, rabbits, and dogs. Acesulfame potassium has other issues, too. It’s been found in human breast milk and may influence a baby’s preference for sweet foods. 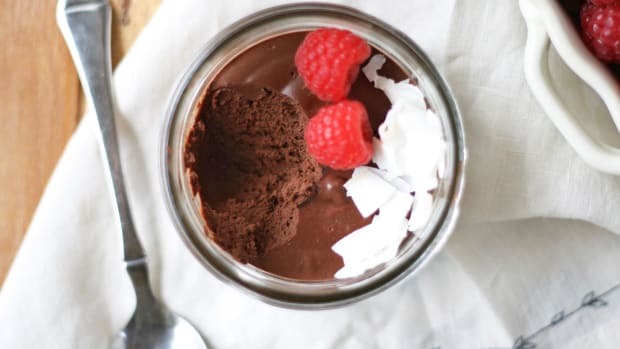 Consumption of artificial sweeteners, like Ace-K, may also contribute to weight gain and can disrupt blood sugar control and insulin secretion. We’re still going with the (lengthy) ingredient list. Carrageenan is a common food additive derived from seaweed. Research has found that carrageenan is linked to digestive distress, inflammation, cancer, and diabetes. Finally, we’re left with the mysterious ingredient of artificial flavor, a cheap way to inject synthetic flavoring into a food. Artificial flavors may be linked to the development of Alzheimer’s disease and hyperactivity in children. 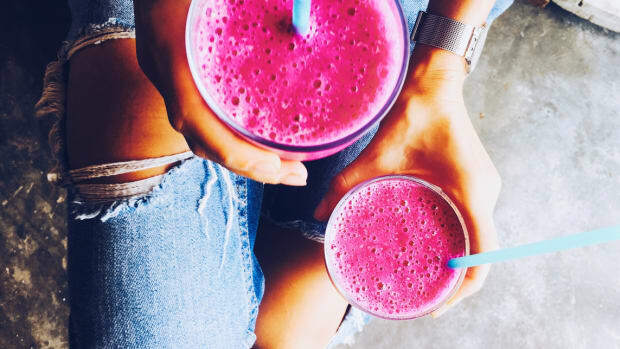 According to the CSPI, “hundreds of chemicals are used to mimic natural flavors; many may be used in a single flavoring, such as for cherry soda. Most flavoring chemicals also occur in nature and are probably safe, but FDA does not review their safety, and a few have been shown to cause cancer in animals and should not be permitted.” Yikes. Let’s get to the real deal hot chocolate. 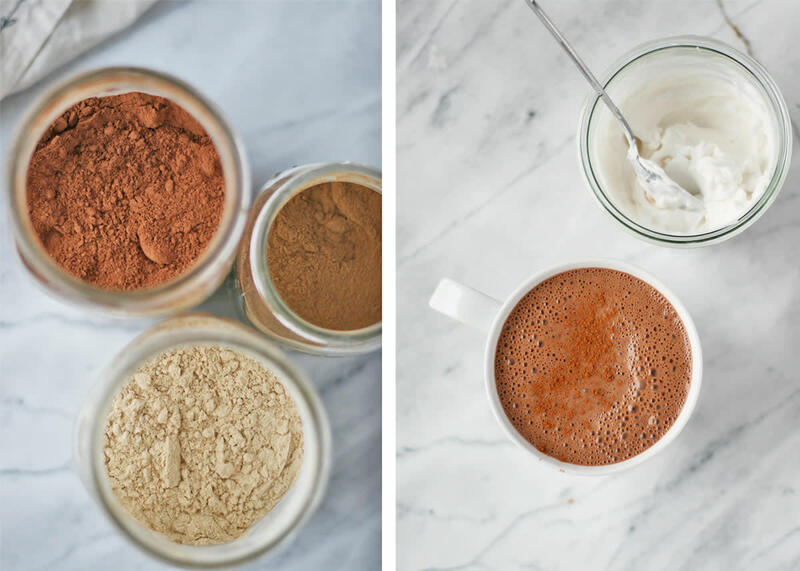 Unlike all the artificial, processed, and mystery ingredients found in the aforementioned hot chocolate, this healthy hot chocolate uses the real stuff. 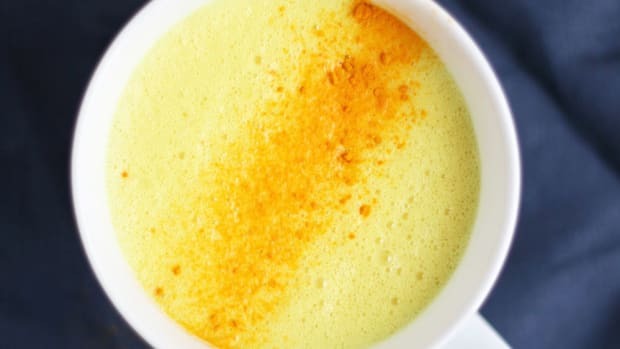 Instead of dairy milk, we’re using almond milk, but cashew or coconut milk work well, too. Cacao powder is a vitamin and mineral packed superfood that boasts serious antioxidant benefits, such as free radical scavenging properties. Coconut sugar is a less processed form of the sweet stuff and boasts nutrients and a caramel-like flavor. Almond butter provides essential creaminess and healthy fats while maca and reishi powders add in an adaptogenic boost and anti-inflammatory powers. Finally, pinches of spices like cinnamon, nutmeg, ginger, and cayenne provide real flavoring – no artificial nasties needed. 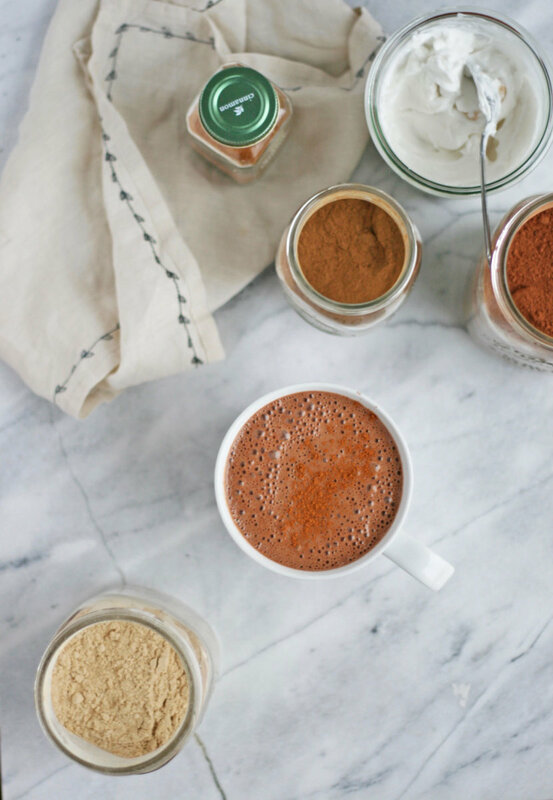 With a dollop of coconut whipped cream on top, this superfood healthy hot chocolate is just about as real and delicious as you can get. Yum! Place all ingredients, except almond butter, in a saucepan on the stove and gently warm, stirring often. 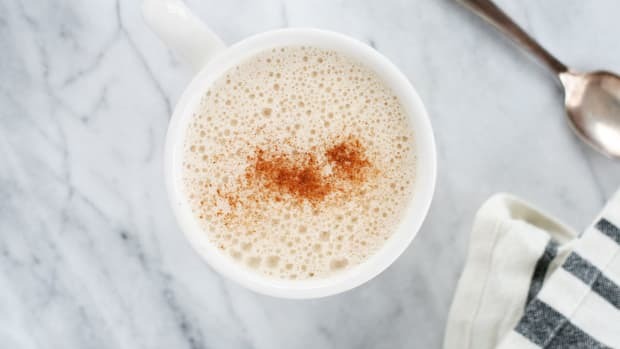 Once hot chocolate is warmed, pour into a high-speed blender along with almond butter and blend on high for 30 seconds to get nice and frothy. Taste and add more coconut sugar if necessary. Garnish with coconut whipped cream and enjoy!